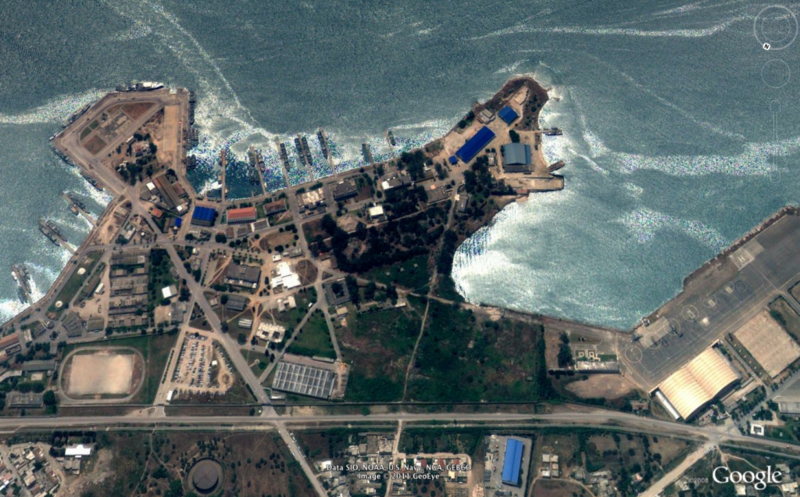 In this photograph, you get a 5000 foot view of a Naval base in Bizerte, Tunisia. Although I could not find much information about this particular location, my grandfather had it labeled as a “US Naval Base”. This photograph was in pretty rough shape, so it has been cleaned up and restored quite a bit. If you look closely, the USS Duane is parked to the right hand side of the peninsula at the top of the photo. 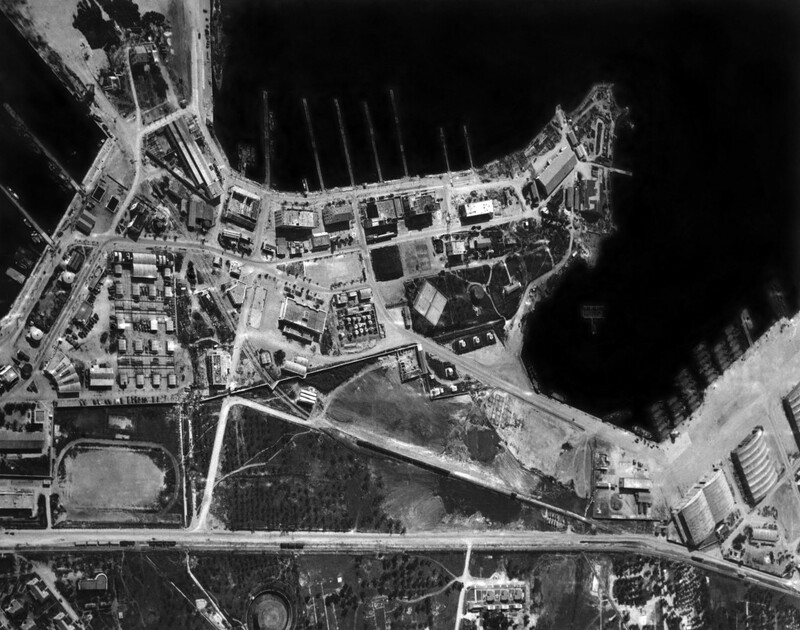 There are land shots within the Warbook that were taken at the same time and show a ground level view of the base. According to the USS Duane history, the ship was in Bizerte a couple of different times – first in April of 1944 and then from December 5 1944, until June of 1945. I believe this image was probably taken in May or June of 1945 as there are several other photographs taken by Dale Rooks at the base in Bizerte at this time. I also do not believe that they would risk flying through the area if there was an immanent danger. I fondly remember a story that my grandfather told me that relates to this photograph. He used to tell me that Dale Rooks was quite a fearless character. He told me that my Rooks once took him up in an airplane and they flew over the USS Duane parked at port. There is a photograph of Rooks later in the Warbook where he has what is pilot gear on. That being said, I believe this photograph was taken by him or my grandfather. If anyone has any more information about this port, please post it here in a comment or Email me. I was able to find the image above on Google Earth, which shows a current overhead view from about 3500 feet. You can also click here to view the location on Google Maps. This entry was posted in North Africa, USS Duane and tagged Bizerta, Overheard, Pho. M. Rooks, USS Duane. Bookmark the permalink. Thank you for this photograph you shared with us. I was born in Bizerte I collect photographs from the past of Bizerte.